Noseeums are a small blood sucking gnat which are prevalent along coastal territories and regions with a lot of water, dampness and marshland. Also known as Punkies, Black Gnats and No Seeums, these annoying tiny flies are very persistent and prolific. This article will highlight some basic biology about noseeums and then offer treatment options so you can help to minimize the discomfort and unpleasantness experienced when noseeums are active in your yard. Noseeums are small – usually less than 1/8 inch long – but pack a lot of bite for their size. Only females bite but since she needs several blood meals before she lays eggs, they seem to linger longer than other flying pests like mosquitoes when they feed. There are many species of noseeum which are found primarily along coastal water ways where marshland and swamps provide the damp, wet environment in which they like to live. However, activity has been found throughout the mainland and tends to be quite strong during the summer and fall. It is believed that populations have migrated to previously uninfested regions via plants, dirt and pots. Since noseeums can breed successfully in something as little as the soil of a small house plant in a pot, it has been concluded that they have easily been introduced to virtually any part of the United States. There are simply too many ways for them to find these remote areas and though certain conditions need to exist outside for them to live successfully, it is not uncommon for whole populations to find reproductive sites in the home. For this reason noseeums present a unique dilemma making them hard to control. Noseeums will hatch in the spring emerging as both larva and adults. Adults will immediately look for a good blood meal; larva will spend their time in the wet damp soil growing through several stages. This growth could take as little as a month or more then six months depending on both region and species. Females need blood to start her egg laying and she will seek this food from birds, amphibians, reptiles, mammals and just about anything which is moving. Closely related to Moth or Drain Flies, Noseeums have a fairly delicate body type. They are easy to kill, not particularly strong and they’re susceptible to many predators. However, what the noseeum lacks in physical presence it more then makes up for in sheer numbers. Noseeums are persistent and annoying. Their bite will cause all types of reactions which range from small swollen bumps to rashes. They are vectors of several diseases including Carrions Disease and Leishmania. For this reason noseeums are feared and rightfully so. Though the likelihood of getting a disease from them is small, the discomfort and pain their bite generates is more then any reasonable person likes to withstand. 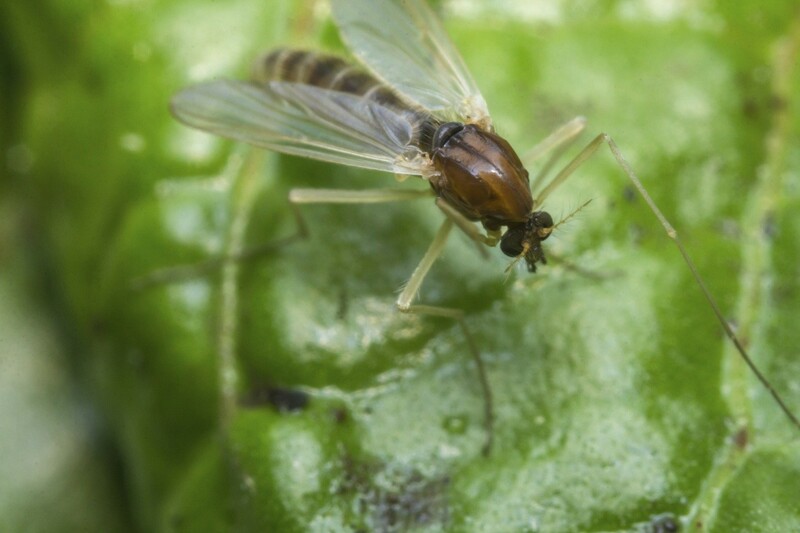 This is why noseeums are feared more then most any flying biting pest where they are present. Noseeums are also referred to as no-seeums, punkies, sand flies, biting midges and more. The no-seeum name has been acquired over time because of all the biting stinging pests, noseeums are amongst the smallest. However, they are commonly misidentified and many times blamed for bites or stings when nothing else has been found. Here is a short list of such pests which could be biting or stinging. Flying pests have a much larger range and can attack from greater distances much quicker. With noseeums, it is not uncommon to be attacked as soon as you go outside. This is especially true from mid afternoon until dark. Her is a short list of flying pests that could behave the same way. The next section of this article will detail products and treatments that can be used when combating noseeums. First, we will review repellents that can be used on people and premises; next we will detail treatment options which can be done to turf and adjoining property where activity is present. Since noseeums are attracted to people for much the same reasons that mosquitoes are attracted to people, there are several repellents which can be used to help keep them away from people and property. Some can be applied to the turf, others are applied to people. The following is a compilation of products which have proven to help repel noseeums on and around the yard. If you are planning a party or some outdoor activity, the use of NOSEEUM REPELLENT is a good product to apply about 12 hours prior to the event. It works by releasing a slight odor barely detectable by people but one which noseeums don’t like. 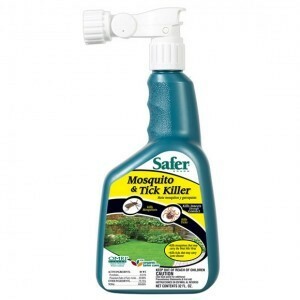 Used a lot for repelling mosquitoes, this product won’t hurt children or pets and will last a week or two depending on local weather patterns. Use 1/2 lb per 500 sq/ft; this 5 lb jar can cover up to 5,000 sq/ft. Treatments will last at least 1-2 weeks; longer in arid regions or during a drought. Designed to help protect small areas like decks and patios before noseems are active, noseeum candles will help keep biting pests like noseeums, mosquitoes and gnats away. Using a range of actives, these candles will effectively “block” you from biting pests like no-seeums so they can’t see you. The burning process will release a nice odor to people which is citrus smelling. In the process the smoke will permeate the area making biting pests like mosquitoes and no-seeums not able to locate targets. 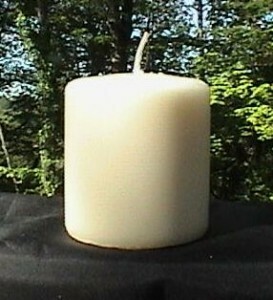 The FREE STANDING CANDLES come in both 6″ and 8″ lengths. The JAR CANDLES come in two sizes; 2.5 oz and 15 oz. 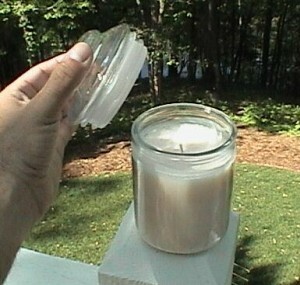 Excellent for decks and patios, these candles can be brought on camping trips and picnics too. Candle repellents will not solve existing problems so only use them in conjunction with our treatments for active problems! The 6″ candle will burn 40-50 hours; the 8″ will burn 50-60 hours. If you prefer a “self contained” design, get the jar version. The 2.5 oz will burn 10-14 hours; the 15 oz should last 60-75 hours. Another great device for use out on decks, patios or just out in the yard are NOSEEUM BLOCKERS. These are unique repellers which work by “hiding” people so noseeums are not able to effectively find you. It releases a scent which works by confusing noseeums and in turn, they loose their ability to use their olfactory senses properly. By not being able to “smell” people, they are not able to track them down. Noseeums track people by detecting two gases we release called Octenol and CO2. These gases are exhaled when we breathe. As we sit outside exhaling, these gases will permeate out and flow with the local air current. They can be detected by noseeums as well as mosquitoes for over 100 yards. Once these biting pests get on the trail, they will follow it back to it’s source eagerly searching for a blood meal. By placing these Blockers out slightly downwind from where you are sitting, noseeums won’t be able to do any tracking. Your exhales are basically being masked so you can sit outside invisible to the local biting insects like noseeums. It is important to understand that any noseeums which are close to where you first go outside will immediately be drawn to you since they are reacting to your visible stimulus and not your exhales. Once this first wave of activity ceases the Blockers will serve to keep new ones away. To properly deploy these devices, you’ll need to set one on either side of where you’re sitting outside so expect to use at least two for the average deck or patio. Be sure to turn them on at least 10 minutes before you go outside. These units run on 2 double (AA) batteries and refills will generally last 30-45 days. Expect to change out BLOCKER REFILLS every 30-45 days. Another effective repellent are BUG BANDS. Ideally suited for children, these bands are light, barely noticeable and will confuse biting flies and mosquitoes so they are not able to find you when out in the yard. Though one will work well on either wrist, consider keeping one on an ankle if you’re wearing shorts. 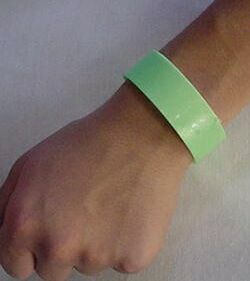 These come in green, pink and “glow in the dark”. Keep them sealed up in a plastic zip lock bag when not in use; expect to get at least 40 hours of effective repellency once taken afield. For exposed skin, nothing works better than 100% DEET. 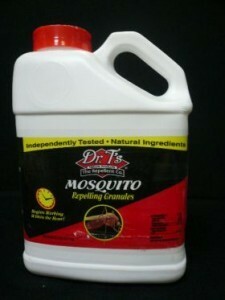 This is as strong as it gets; Deet has been proven to effectively repel all kinds of insects and it lasts a long time. Typically one application in the morning will last all day unless you’re sweating a lot or go swimming. This 2 oz jar is easy to use and long lasting. DEET LOTION is another form that might be better suited for children. It rubs in easily and uses a lower % of active but because its a lotion, applications can last a whole day too like the 100% liquid form. Clothing should be treated with PERMETHRIN AEROSOL. This is another odorless active biting insects don’t like. Noseeums, mosquitoes, gnats and more will avoid where its found and combined with Deet, the two can provide the best personal protection available from biting pests. You can use this on inanimate objects since it will last longer then just deet – usually several days. Odorless and easy to apply, use it on shoes, pants, shorts, shirts, hats and any piece of clothing taken afield. Treatments should be renewed daily – especially if you’re out in direct sunlight. 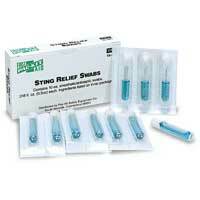 If you suffer from extreme reactions to noseeum bites, apply STING RELIEF SWABS to the affected area. The soothing gel offers immediate relief from the itch and reduces swelling. Each “tube” contains enough material to treat several bites and they’re all self contained making them ideally suited for bringing afield. 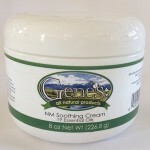 For bites a day or two old, apply GENES SOOTHING CREAM to the damaged skin for faster heal times. Use daily, Genes cream will take away all the discomfort and promote healthy skin again. In general, its best to fog or mist when trying to control noseeums. But if your yard is 5,000 sq/ft or less, you can get decent control using a liquid. Since noseeums like to live where it is moist, damp and shady, there are many locations on anyones property which can serve as both a nesting and breeding ground for this pest. Unlike mosquitoes, noseeums don’t need standing water to reproduce. All they need is moisture. And though you may be subject to getting new ones from surrounding areas like marshes, swamps and shorelines of rivers and oceans, keeping their populations down on your land will really help keep them from being an nuisance when you go outside because their range is actually quite small. The good news is that they’re easy to kill and they don’t like to fly far to find food. But you should try to create as large of a “noseeum free” zone as possible around the home by thoroughly spraying with CYONARA RTS. This odorless concentrate hooks to your garden hose and can treat up to 20,000 sq/ft. Since noseeums will be hatching daily, expect to treat twice a week for the first two weeks until you get control of the problem around the home. Once under control, treating every 7-10 days will usually keep them from returning. For more economy, get BIFEN XTS. This concentrate works like the Cyonara but one quart will cover up to 4 acres making it more economical to use. Use 1 oz in 5 gallons of water for every 5,000 sq/ft and like the Cyonara, expect to treat twice a week for the first couple of weeks until the problem is under control. After that, treating once every 7-10 days will usually keep things maintained. Use a good HOSE END SPRAYER to make the application. For this one, you’ll need 1 oz of the Bifen in the sprayer and then you’ll need to fill it with water up to the 5 gallon line. Next, hook it to your hose and use all the material inside to treat up to 5,000 sq/ft of turf, plants, etc. If you prefer to use an organic spray, go with MOSQUITO KILLER RTS Like the Cyonara RTS, this material comes with it’s own sprayer. Just hook it to your garden hose and you’re ready to go. 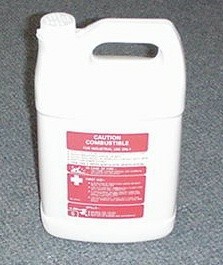 Packed in 32 oz jugs, this container is enough to treat up to 2,500 sq/ft and should be used once a week. A more cost effective option is the concentrated ESSENTRIA IC. Made with food grade essential oils, this material should be mixed at the rate of 2 oz per gallon of water; for 5,000 sq/ft you’ll need 10 oz and our HOSE END SPRAYER above filled with the chemical and water up to the 5 gallon line. For noseeums in a building, you have two treatments which work well. The “manual” option is PT-565 XLO. This product uses pyrethrum as the active ingredient and will kill noseeums quickly. Spray it for 5-10 seconds in any room with activity and you’ll see immediate relief. It is easy to use and treatments will provide several hours of control. But since noseeums will be hatching daily and since there is no way to kill developing stages, you will probably need to use it many times a day. But it’s safe enough for use to as often as is necessary. For a more “permanent” way to control the problem inside, install AEROSOL MACHINES with CLEAR ZONE refills. These machines go off every 15 minutes by default and will be releasing a small 1 second blast of the same pyrethrin found in the PT-565. These machines will do the work for you so you don’t have to worry about missing a treatment. If you have several acres to treat, consider getting a truck mounted machine like the MINI-LITE ULV. This machine can create ultra small particles so you use even less chemical compared to the machines above. It weighs about 29 lbs and can be mounted on any ATV or small pick up truck for large scale noseeum control maintenance. Once you decide on which fogger will fits your need, you’ll need chemical. We have found a trio of three products work best for noseeums. In fact this trio works great for mosquitoes, biting flies, horse flies, gnats, deer flies and more. For sensitive areas around water ways, ESSENTRIA IC is a federally exempt concentrate made from essential plant oils that’s both safe and effective for a range of pests including noseeums. This mixture will work just like a combination of pyrethrin and permethrin and though it doesn’t contain an egg killing agent, using it every 7-14 days will get the job done without presenting a hazard to people, animals or aquatic life. For noseeums, plan on treating more frequently until you get your “zone” pest free. For some properties, this could mean fogging 2-3 times a week for the first 2 weeks. But in most cases, after you break the established life cycle on the property, you’ll only have to fog every 10-14 days to maintain the property and keep them under control. In summary, noseeums can be a tough pest once active around your yard. To help keep them off people who are active outside, use any of the repellents we have featured above. If you want to control local populations which are breeding on or near where you are living, use some Permethrin. Fogging with any of the machines we feature is better suited for large areas since it will get coverage faster and more thoroughly. Remember to treat throughout the active season and you should be able to keep this persistent and problematic pest under control. How about dogs? Do they get bit? Mine seems to be itching so much but do not find bites. They can. But when it comes to pets, there can be many other pests that are doing the biting. Fleas, mosquitoes and gnats are usually on top of the list but some pets just get what we consider to be a “skin condition”. So before you conclude anything, we suggest you try treating their skin with some Melaluca Shampoo and Anti Itch Spray. This can many times stop them from itching and since you’re not seeing any bites, a good way to start when attempting to solve this kind of problem. Now if you do start seeing some bites, you may want to review our articles on fleas and mosquitoes because both pests can cause a lot of problems for pets. I live in Florida on east coast, not on the ocean, and have a problem with no see um in my home. What can I use to get rid of them and to keep them away? Did you read our article above? We suggest all kinds of remedies that can help in the home as well as outside in the yard. We have everything from liquids to fogging compounds to repellents. Review the article and click on the products where they appear “blue” to see more information on the specific product. This will help you decide which items will be best suited for your needs. And of course you can call at any time for more clarification if needed because we’ve got a lot of options and they all work well. Great information! Thanks for your help! I live on the west coast right on the water 15 ft. We have a roof deck that the no seeums are swarming us. Is there a safe spray that could be used at the ground level that would kill them? Would propane bug traps work? In our experience, we’ve not seen any bug trap that can effectively reduce nuisance pests enough to show a positive result. In most all cases they will attract and trap some but because so many are attracted that miss the trap, in the end people in the area end up experiencing just as many bites as before. For this reason we have found the Mosquito Blockers to be a better way to keep them away. By using a special repellent scent, they can scare off many nuisance pests like mosquitoes, biting flies and noseeums. But really the best way to handle noseeums around water and boat docks is to fog them with Exempt Misting Concentrate. This product is mixed with water and is safe enough to be used on boat docks and around water like streams, ponds and lakes because it’s made of essential plant oils. For the best results possible, this is the way to go. It’s mixed with water and can be applied with any of the fogging machines we have listed above. What about indoors? Our dogs have brought some biting insect indoors. What can I use inside that won’t harm dogs or kids? Any of the Aerosol Treatments shown above are ideal for inside the home. This includes the PT565 and the Aerosol Machines with Purge. We are building a house that is in an area that suffers a lot from No seeums (and other bugs). I found your article very helpful, thank you. I was contemplating buying one or two gas machines that issue heat, CO2, light etc that attracts the bugs and then kills them inside the machine. I gather it takes some time to break the reproduction cycle but once you are on top of it, I believe they are effective. What is your opinion on these machines? I am interested in the commercial fogger too as we have a lot size of about 2.5 acres but we have the rain forest (we are in Panama, Central America) right next door which clearly is a breeding ground too, so we would fog there too. Your advice will be gladly received. If you review our articles on gnats, noseeums, mosquitoes and other flying pests, you’ll find that we never recommend any device that “lures” biting pests into the areas you want to keep pest free. There are many reasons for this; here is the short list. After selling these units for many years, we learned that yes they will kill all kinds of nuisance insects. But in no case were the customers happy with the results. They were seeing lots of dead insects but were still getting bit which was confusing to say the least. Remember, these units are supposed to attract and kill biting insect pests. Well, they definitely were good at doing this. So what was wrong? Well, what we found is that in the end, the traps never achieved the goal of enabling the occupants of the property to go outside without getting bit as much as they were before having the units were installed. In fact, we found many cases where the properties seemingly got worse following the installation of these units. We concluded this happened because the traps were effectively “luring” bad pests onto the property. So at this point we feel the only way these units should be used is if you can locate them far away from the areas you want to keep pest free. And what we mean by far is at least 1 acre. So if you can remotely locate 4-5 of these approximately 1 acre “surrounding” your home and then treat the area in between the units and the home with one of our fogging machines, you should be able to achieve positive results. And based on the size of the area involved, I would suggest the Gas Powered Mist Blower and some Bifen to tackle the job. Treating every 7-14 days and maintaining traps strategically surrounding the home will no doubt decrease the biting pest population that will be active surrounding the home. 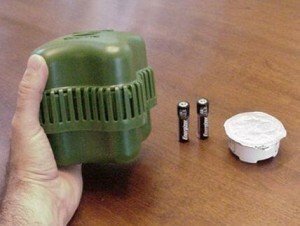 So if you incorporate the traps in this fashion combining them with the fogging, I’m sure you’ll have positive results. Thank you so much for the info on this site… we have used pesticides on our yard because every time I go outside I get ate up by these little reddish orange flying bugs …I am the usual target and taking a few baths a day to kill the ones that were in my hair, etc. I have never seen these bugs before but then again it has been 2 years since we treated the yard last….I am so frustrated with these no-see-ums they love to bite me and definitely bite more than once…they love our pool too! I am going to try the products that were suggested thx again; greatly appreciate the information! Thank you for your informative article! They are driving me nuts!! Thank you so much for the information! I live on a pond.. very moist area and the no seeums are terrible..I can just step out the door and I am eaten alive! My home is on approximately 1/4 to 1/2 acre of land…Backed up to the pond with trees, vines and just a swampy area…. I am thinking about trying the Vegetables Plus Permethrin… Would you agree or should I try something else? My goal is to get rid of them! They are such a painful nuisance! Keeping outdoor activities at a minimum! Oh.. and would planting eucalyptus or anything else help? Please help! I welcome any advice! Based on the size of the area you need to treat, the Vegetables Plus would be an option. Just be sure to use a Hose End Sprayer to get proper coverage. Another good option is Cyonara RTS. It’s very similar to the Vegetables Plus but comes in with it’s own applicator making it easy to use and basically, ready to spray. I have a 1 acre property on the beach in the caribbean. No see ums are a problem when the wind is calm. I am considering getting a Solo gas powered sprayer and using a combination of Pyrethrum and Cyonara 9.7 to get both a quick kill and a week or more of staying power. Is this a good combination or do you have a better recommendation. Based on all the customers who we’ve helped with similar problems, I’d say to go with the Bifen instead of Pyrethrin/Cyonara. Bifen will provide both a fast knockdown and just as long lasting control. 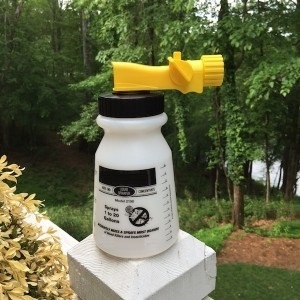 Here is a link to a customer that’s using the Bifen for mosquitoes and sandflies successfully. He’s a regular customer of ours. I am reading all of your info on various biting bugs etc. but now am more confused as to what is biting me. I live in central texas where its been really dry and hot and every time I go outside I get bit by bugs that I am not seeing. What do you think they are and what would be the best way to treat my property? Its a very small lot and no excess water standing anywhere. Please help. I’m tired of getting bit. Thanks. I’d start by applying some Cyonara RTS over all of the property. Cyonara gets hooked to your garden hose, can be sprayed on turf, plants and trees as well as the home and works well on all biting pests. I believe this will help reduce the local population of whatever is biting and you can retreat as needed when they return. This would be a good choice if the property is 10,000 sq/ft or less. 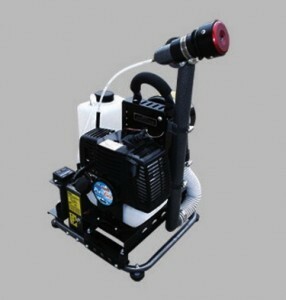 But if the yard is larger, you should consider getting a Fogging Machine like the Fogmaster or Back Pack Mister. In either of these units you would add water and some Bifen which is odorless, highly effective on biting pests and mixes with water easily. Bifen also goes a long way so it’s cost effective for large yards. I use Bifen to treat about 1 acre it takes care of all my pests including gnats, mosquitoes, biting flies, ants, wasps and crickets. Either option will surely handle your pest and really it’s just a question of which will prove more economical to use which depends on the size of the property. I live on 5+ acres in central NH. It is very swampy all around my property. In the spring there is often standing water in the pasture. In addition to the Noseeums there are these small black bugs that swarm around my horses. Mid summer is the worst the horses stay inside the run in shed to escape the bugs and while working with horses the bugs swarm around people but do not seem to bite. They are vey annoying. Is this a type of noseeum is there any thing I can do to eliminate the problem that is safe for the horse people and other pets? All of the treatments listed above can be used safely around the horses and won’t be a hazard for people who come to the treated areas either. What you’re seeing is no doubt some kind of gnat most likely related to the moist area’s you’ve described and though some of these will bite or sting, many species will just fly around and at worse be nothing but annoying. So if you want them gone, you can use any of the products listed above. Here is a brief summary of what I’d suggest. For small areas you want to spray (10,000 sq/ft or less), the Cyonara RTS would work fine. Simply hook it to your garden hose and spray the areas you want to protect as often as you’d like. Once a week is good rate to start but if treatments last 2 weeks or more without the pests returning, you can wait that long in between treatments. For larger areas, a fogging machine would be better suited. Either a small electric unit like the FM6309 or the Back Pack Mister can handle an acre plus and will enable the treatment to go quickly and efficiently. I’m able to treat my lot of almost 1 acre in about 10-12 minutes so they can really help. In either machine you can apply Permethrin or Essentria IC. Both are labeled for use in areas where horses and other farm animals are kept and both are labeled for use on horses as well so they’re fine around the animals. No doubt the Permethrin would be the “stronger” of the two but we’ve seen great results with the Essentria which is made from food extracts making it extremely safe for sensitive areas. So go with either of these if you have a large area to handle and you’ll be able to keep biting flies, noseeums, mosquitoes and pretty much any flying pest under control with either. Please tell me what to use in my home to kill off gnats or no-see-ums. It must be pet friendly for I have pets! As you’ll see from the above section of the article, either the PT-565 or the Aerosol Machine with some Purge in it will prove to be the best way to go. These two options can be used inside the home even with people and pets present. My personal favorite is the Aerosol Machine since you only need to set it up and forget about it once programmed. If you place out 2-3 of these throughout the home, you can control any kind of flying pest problem with very little effort. Hello, I live in the center of the noseeums area and would like you to recommend an automatic fumigation system to control these little monsters. I would like to control 5 acres. I also have sand flies in an area of 10 acres that is a problem. If you want to torture somebody, this is the perfect place! For areas this large, an automatic system would not be practical. Remember, automatic spraying systems require the installation of tubing throughout the land as well as holding tanks and fancy nozzles. The installation cost alone would be so expensive and then on top of that cost, once the setup was installed the monthly maintenance would be time consuming. In fact it would be so time consuming, you’d need someone working on it at least once a week. This would prove expensive. On top of these two main problems, when dealing with a land size like 5-10 acres we find that the problem nest sites tend to move around quite a bit. This means using a portable, mobile device is really the best way to deal with flying insects for large land areas. So given the land size, we would recommend a Mist Blower. It’s easy to use, portable and fast. One could easily target the main nest sites as they appear throughout the season. As for what to use in the mist blower? The Bifen would no doubt be cost effective and since it works on most all pests, a good choice to start. I have 5 acres that I need to treat for a variety of “No Seeums”. My concern is that we have 5 horses, 5 goats that graze on the areas that these annoying creatures are in. I am looking at using a fogger or mister, but I need to know what product to put in it that is safe for the animals to graze on after application. I am currently treating for an insane overproduction of stinging needle and other various weeds that have taken over the place since the last owner departed. Thank you. Another safe option is the Essentria IC. It’s made with nothing more than food extracts and oils so it’s very safe as well. In fact, it’s labeled for use on farm animals like cattle and horses (for biting flies) and only the safest of concentrates ever gets this kind of labeling. Lastly, I recommend going with the Back Pack Mist Blower for doing the work. I own one and use it to treat my 1 acre lot. Now clearly 5 acres is a bit more to handle but I know it can handle it. I have a restaurant in South Florida on the intracoastal waterway that has a large mangrove area across the waterway. The noseeums are a problem usually around 5pm-8pm while customers are dining. How would you suggest resolving this problem? We can’t spray the mangroves unfortunately. Part of the restaurant is over the water on pilings. I am painfully aware of this problem having traveled to FL many times and experienced the discomfort as a patron in many fine restaurants. I always felt if there was a way to eliminate the noseeums that thrive along these coastal settings, any restaurant would be infinitely more successful because I’m sure there are a lot of people that just cannot tolerate the biting, itching and relentless persistence these insects display when active. And I’ve seen it at miniature golf courses, water parks, etc. and have long wondered why no one is taking action to control this annoying pest. Then after doing a little research, I came to learn that for many years there really wasn’t a good effective chemical that could be used in these sensitive areas. Fortunately this has recently changed. In fact you can achieve relief with a product that’s labeled for use in these areas but more importantly, it will actually work. Now I will stay its hard to say just how often you’ll need to treat but here are some guidelines that we’ve seen with previous users over the past couple of years. So when you first start treating, you might have to treat daily until you reduce the local population enough to see longer periods of no activity than just one evening. And once that happens, you should be able to get several days in between treatments and depending on the region, maybe even a week or more. Now as stated above, in the the past it’s been hard to locate anything labeled for use in these sensitive areas. 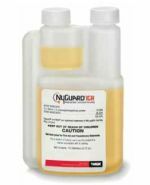 But a few years ago some federally exempt food grade products hit the market and for the first time in over 30 years of having worked in the pest control industry, I was pleasantly surprised to find these products actually worked. You see, these actives have been around for awhile. Unfortunately, they’ve not been effective. But after doing some testing, we found this new generation of products actually works well. More importantly, they’re labeled for use in the sensitive areas where you need them. In other words, they’re labeled for use around water, docks, etc. and that’s because the actives being used won’t pose a hazard to people, animals or aquatic life. The other great thing about these products is that they can be applied as often as needed which means if you find you have to do a brief misting every day in between lunch and dinner, it’s alright. In other words, you won’t have to worry about over applying the product. Known as Essentria, this product is basically a food grade insecticide so it has very little impact on anything other than insects. Now like many other products we sell, it’s a concentrate that’s mixed with water. So to treat, you’ll mix it with water and then use something like a FM6309 Fogging Machine to apply it over the landscaping (yes, you could spray it out as a liquid but applying it with a fogging machine is a lot better and cost effective too meaning it will cut down on chemical costs dramatically). I would try to treat as much of the shoreline area as possible and when treating, I’d focus on any plant or low lying drain area where noseeums might be breeding. Remember, noseeums will take advantage of any moisture so pay attention not so much to the salt water that changes with the ebb and flow of the local tide. But instead, focus on any little water pools or damp areas close to and adjacent to the shore. You’ll probably need 1 gallon of mixed solution to treat about 1/2 acre on average. This can vary depending on the thickness of the local vegetation but after doing a few treatments, you should get a feel for how much you’ll need, where the key spots are you need to treat, etc. Oh, and one other good thing is that this equipment pumps material quick so you can apply a whole gallon in around 10 minutes. Now it is electric so you’ll need an extension cord but it can pump material quite a distance. 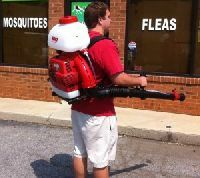 Of course, you can get the motorized Back Pack Mist Blower which is more powerful and used like a landscaper’s back pack blower. No doubt if you’re treating 1 acre or more, this would be the way to go. Give us a call if you still have questions or concerns but I’m sure if you take a proactive stance and start treating the exposed turf, plants and vegetation around your restaurant, you will be able to minimize the discomfort this pest can create for your customers and this alone can make your establishment stand out above all the others in the area if it’s free of noseeums. Our toll free is 1-800-877-7290 if you want to discuss this process further. We are in an RV park in a very beachy area for the winter. For the month we’ve been here the noseeums have been awful. They love me but not my husband. I have not been able to go outside. Which product would you suggest to use around our rv site? Is there something we could treat the screens with? Thanks for any help. Any of the products listed above can help solve your problem. The key will be to getting enough of the area around your RV treated so there is a significant “buffer zone” surrounding the RV and common ground of the park. Once this zone is put in place, the area can be maintained by you during your stay. Basically you’ll have repeat treatments during your stay and in doing so, you will be able to keep away noseeums, sandflies, mosquitoes, gnats and other biting insects. Now as you’ll learn from the article, there are many treatment options available. 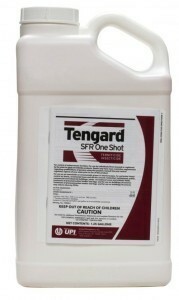 The simplest approach will be to use the Cyonara RTS liquid spray. This can be applied to plants, turf, your RV, screening, etc. It will both kill and repel all insect pests and can be applied as frequently as is needed. Generally 1-2 treatments a week will be needed. You will also want to use the PT-565. This is a space spray and though easy to use, treatments only last a few hours. So if you want to stay outside for awhile, treat the air around RV right before you want to be outside and you should see decent protection for short time. Lastly, the use of a Mini Fogger with some Essentria IC concentrate or Permethrin would be the best treatment option. Our fogging machines use chemical quite efficiently so you tend to use a lot less fogging compared to liquid spraying. This way over the course of a few months, the machine will pay for itself. And since using it is both easy and much faster compared to liquid spraying, it will also save you time and energy too. Now since you will need a concentrate to use in the machine, go with either the Essentria IC or the Perm 10. Both work well and both are safe enough to be used around any RV. I have noseeums all over the side of my house. What can I spray on there to keep them away? If you refer to the article above, you’ll see the Cyonara RTS is the best liquid option. It hooks to your garden hose and can be sprayed safely on grass, plants, etc. Its also fine for use on the side of the home. Retreat as needed; usually in the spring and summer you’ll have to treat 1-2 a week until you get them under control. No doubt noseeums are quite active inside homes and apartments this time of year. 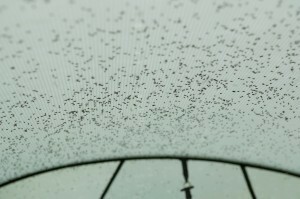 This tends to happen as outside air temperatures drop and flying pests find their way inside structures naturally. Once inside, they need very little moisture to live and breed. Common areas they will use for nesting include but are not limited to the following: the drain pipes for sinks, tubs and showers. Any quantity of moisture collecting under a refrigerator, ice maker, stove, washing machine or air conditioner will suffice. Inside appliances like air conditioners or refrigerators are commonly used. The water closet for any toilet or even the tiling in a bathroom can harbor a healthy population of noseeums. Window sills, door way frames that lead outside or potted plants can be used. A simple glass of water hidden from view can become a noseeum hatchery and in cluttered rooms, we have seen many opportunities for them to live hidden from view just out of sight. To control this activity, you’ll need a space spray. As explained in our article above, noseeums hatch daily and as fast as you kill active adults, more will be hatching hourly so there will be a never ending population around unless you keep the air unsuitable for their existence. To accomplish that goal, a pyrethrin based aerosol is the way to proceed. We have two good options both of which will control any kind of pest flying around like mosquitoes, noseeums, biting flies, biting gnats, thrips and more. The first option is the manually operated 565. This pyrethrin based aerosol can be used like hair spray. 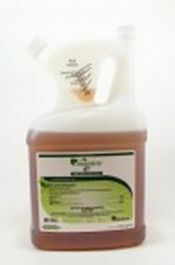 Simply spray it a few seconds in any room with activity and within 10-15 minutes, it will kill all flying pests active. The only limit of the product is that its only active for 45-60 minutes so you need to retreat hourly. For many problems, this is required since noseeums will be hatching that quickly and if you want to keep killing them, you need to keep a fresh amount of pyrethrin in the air. To overcome the issue of having to apply product every hour on the hour, you can install Aerosol Machines and let them do all the work. Basically you place a can of pyrethrin based aerosol inside, turn the machine on, set them on a shelf 5-8 feet up off the floor and each machine will effectively protect an area up to 400 sq/ft (20′ x 20′). 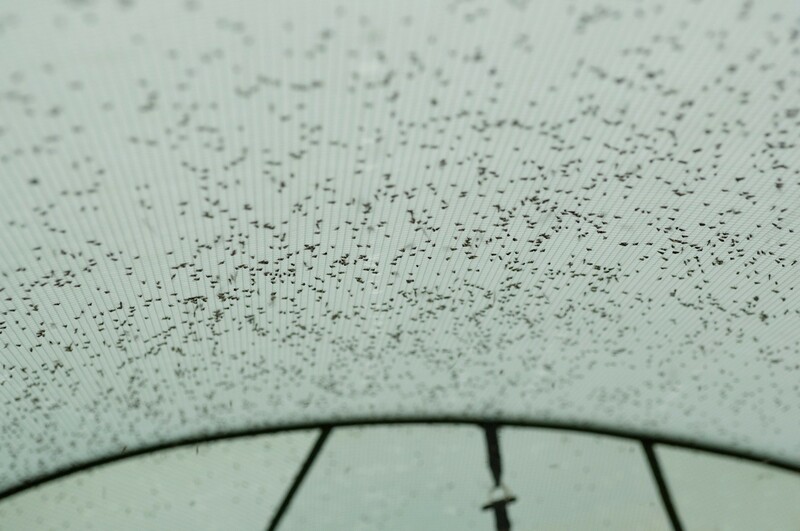 The machines will release a small blast of pyrethrin every 15 minutes which means you’ll have plenty of active chemical in the air continuously killing all flying pests. This insures newly hatching noseeums will die before they have a chance to bite or feed on any people or pets. Aerosol machines are cost effective, work around the clock and can solve the toughest pest problem because they don’t miss a treatment which is the leading reason why any pest management program fails. So for long term control of this pest, I recommend you get enough machines installed to protect your apartments air space and you’ll be noseeum free in a day. Let us know if you need help in determining how many units you’ll need but the average 1500 sq/ft apartment will need at least 4. 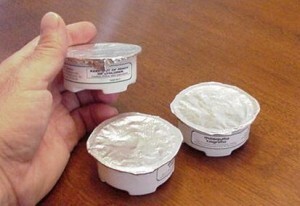 The refill cans will last 30-45 days so get enough to last for 2-3 months. You guys are awesome. I finally found my way back to your website to look for your answer. You are the only ones in the whole wide Internet who have provided a thorough explanation for the misery we have been experiencing. I am buying your products for sure! Just moved to condo east coast of Florida, along intracoastal waterway. First time we were down here, no problems–that was in June. Now, in December/January, I am being eaten alive by no seeums. The condo association just planted turf all around the units, and it is watered every morning. Could this be contributing to the increase of bugs? I can’t even be out on our porch anymore. I have read the above article, and am a little overwhelmed (but happy) about the options you offer. Please give me some advice about what to use both inside the home and outside. Our little bit of turf is small, no where near a 1/4 acre. I would like to use something that doesn’t require constant application. In the home, I am thinking about your automatic sprayers. Thank you for any advice you can offer, and I really appreciate your website! After searching dozens of sites online, yours came up and I thought, FINALLY! Someone with answers! Thank you! First the easy answer. For inside the home, install Aerosol Machines with Metered Insecticide refills where you want to control flying pests like noseeums. Each machine can cover up to 400 sq/ft, they’re easy to deploy and a single can will last 30-40 days. They’re small and discreet so place them at least 5 feet up and pointing out toward the areas you want to keep pest free. The outside is a bit more complicated. The good news is you only have a small area to treat. That means you could opt to use a liquid like Cyonara RTS. But the one flying pest which will require ongoing applications are noseeums. Mosquitoes and gnats can be controlled for 7-10 days and sometimes longer because they take a few days to develop. But noseeums will rebound quickly since most species cycle daily. That means you would expect to be treating 2-3 a week until you get control of the local problem; after that you would expect to be treating once a week to keep things under control. With that being said, liquid treating will prove both time consuming and more costly compared to using a fogging machine. True, the fogging machine will cost more to start. But in just 1-2 years, any model would pay for itself in the savings you’ll enjoy regarding the cost of chemical and the time it takes to treat. So for a lot your size, you could use get away using our FM5330. It has a 32 oz holding tank and you’ll be applying about 1 of these tankfuls of mixed material every time you treat for 5,000 sq/ft. Product wise I’d go with the Perm SFR. Use .5 oz per 32 oz. But if the fog will be drifting over water, Essentria might be a better choice. Labeled for use over water, it won’t harm fish or other aquatic life. 1 oz per 32 oz of water is the mix rate for this concentrate. To save even more time, the FM6309 or FM6208 would be bigger foggers that will cut your treatment time to just a few minutes. The FM5330 wouldn’t take too long; it should handle 5,000 sq/ft in maybe 6-8 minutes depending on how open the yard is landscape wise. But the FM6309 or FM6208 would treat the same area in 1/2 as much time. Heck, it might take more time to mix up the product in their 1 gallon holding tanks than it will to treat! Lastly, the liquid spraying will require about 25% of the Cyonara jug each time you treat along with a good 15 minutes of work per treatment. And a long garden hose. Gardening. I love it. I have built a small garden inside our pool enclosure here in Florida. The screen does not keep out those damn midges. Seeing your article was like finding the holy grail, thank you. Fogging regularly seems to be the best fix but the flower beds still get me when I’m taking care of my plants. What can I do to mitigate what I can’t see going on in the soil, without harming my beautiful plants? No doubt fogging with one of the machines listed above will be the best way to proceed. It will take care of all activity on plants, ground, structures, etc. And its easy to do. The key is treating enough of the surrounding yard so make sure you get a machine that will fit. For 5,000 sq/ft or less, the mini fogger is fine. But anything larger will need a bigger unit like the FM6309 or FM6208. As for the soil; the chemicals you’re using to fog with can be misted onto the soil “extra heavy” to get any reproducing there. But its not a bad idea to mix some up and spray as a liquid to any soil where you think they might be nesting. Soil treatments won’t hurt the shrubs or flowers; if anything it will help big time by keeping the plants happy and healthy. I believe you have stated that no see ums attack anything that moves. How is it that only certain individuals are bitten? An example: I am bitten every day and night. I have four house guests. None are ever bitten–only me. We all share the same living area. None of us smoke. None of us wear fragrances. I have four sprayers scattered around my home, and all are working. First, Noseeums and other flying pests “can” target anything that moves but its not the movement they’re targeting. Its almost always sweat or some other skin excretion, the mix of a persons exhale or their “infrared” signal. These all vary person to person and this variance can be huge. Now any one group of pests that prey on blood, skin or some other excretion will have the ability to “see” these things around or on a person. And since everyone releases variable amounts of these markers, some people will stand out more compared to others. Think of predators hunting herds of animals. They don’t target every animal; they target one in the group. It might be a young one, a wounded one or an older animal. So even if there are 100+ animals, when the predator makes their move, they have one they are “aiming” to get. So too is how predatory insects behave. Here’s another huge factor that might be confusing you. Not everyone is able to sense being bitten or having insects “on” them. Remember, when you “feel” the bite or get a sore from a mosquito, horse fly, noseeum or even a yellow jacket sting, its because you have an allergy to that insect. Thing is only 10-20% of the populous will have a similar allergy. In other words, the vast majority of people are not allergic to every insect that might bite them, sting them or land on them. Unfortunately there is no practical way to know if you are or aren’t. The best way to understand this is to think about people getting exposed to the common cold or flu in a common area or because of their job. Well just because everyone is in the same environment, it does not mean everyone will get sick. So regarding your house guests; they are either not being seen by these predatory insects or they are being bitten but not having any reaction to know better.